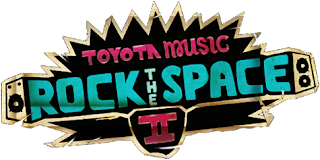 The Midnight Review: MySpace And Toyota Music Contest May Steal Your Songs... Forever! MySpace And Toyota Music Contest May Steal Your Songs... Forever! I was on MySpace earlier when I noticed there was a contest requiring entrants to submit original music for the chance to win a record deal. I was intrigued so I started entering the contest, choosing one of my most recent songs to be my entry when I got to the final submission page, where there were a couple buttons that required checking before continuing. Those buttons stated that I, the entrant, understood the official rules and that I was aware that my personal information would be shared with the contest's sponsors. This prompted me to actually read the official rules. According to the rules, by submitting a song to the contest, I would grant pretty much everybody involved with the contest rights over my song, as well as anything I do in relation to the song. In consideration of a Submission being reviewed and evaluated for this Contest, each Entrant hereby grants to the Sponsors, Presenting Sponsor, Administrator, Chipin Inc., dba Sprout (“Sponsors and their Designees”) the non-exclusive irrevocable, fully paid, universal license to use, copy, sublicense, transmit, distribute, publicly perform, publish, delete or display such Submission, or any portion thereof, including to the extent applicable (a) any information, biographical data, and material (e.g., the “Creative File”) submitted by Entrant in connection with the Contest; and (b) all video, audio, photographs, text, graphics, statements, any other creative materials, and quotations of or by Entrant and furnished by Entrant as part of this Contest (the “Material”) included in and/or submitted by Entrant in connection with the Contest), in any media now known or hereafter devised including, but not limited to all forms of electronic media, print media and all forms of internet and wireless protocol. This alarmed me and after reading this, I had changed my mind about submitting my song, for I felt that my property rights were more important then the promise of some recording contract. I had decided to read on and became even more disgusted with the official rules. Each Entrant authorizes the Sponsors and their Designees to utilize, for eternity and in any manner they see fit, the Submission provided for the Contest, and to make derivative works from such materials solely in connection with the Contest (i.e., without limitation, to create promotional materials). Not only does the contest grants the Sponsors and their Designees the authority of the Entrant's property, it grants them this power "for eternity." The contest also releases the "Contest Entities," as well as their assigns and licensees, "from any and all claims or liability (now known or hereafter arising)." If you ask me, the "Contest Entities" got a great scam - they get thousands of artists and musicians to submit their work, doling out only a couple top prizes, while retaining the rights to the remainder of the submissions, giving them a catalog of numerous original independent songs at their disposal.